National Healthy Bones Week is back in 2012 to encourage Australians of all ages to team dairy intake with exercise for positive bone health. Established by Dairy Australia in 1994, National Healthy Bones Week (NHRW) is a health promotion initiative that aims to educate Australians about the importance of calcium-rich foods, such as dairy. NHBW also highlights dairy's key role in building and maintaining strong healthy bones to help prevent the development of osteoporosis later in life. A new study undertaken by researchers from the University of South Australia investigated the health benefits of dairy consumption and also calculated the healthcare expenditure in Australia due to low dairy consumption. They calculated that at least 43 000 cases could have been prevented if Australians increased their dairy intake, saving the national healthcare system some AUD$112 million, according to a new study. To celebrate NHBW's 'Free Shake Days', a number of cafes in Melbourne have jumped on the calcium-loving bandwagon and are helping the public get their daily serve of calcium with free milkshakes and smoothies. 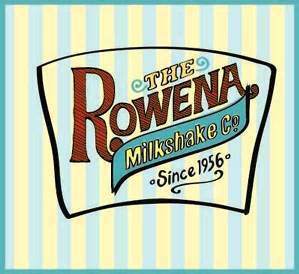 They include Jerry's Milk Bar, Rowena Corner Store and Cafe No. 12. Andrew Harris, owner of Jerry's Milk Bar shared with me that getting involved with NHBW's Free Shake Days was a really fun way for them to support an important health message while giving something back to their customers. "Who doesn't love milkshakes?" Andrew grinned. 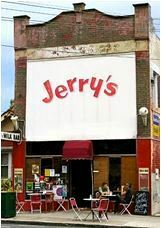 A local institution with the old charm of a 1950s diner, Jerry's Milk Bar has been serving all flavours of milkshakes and spiders for over four decades. 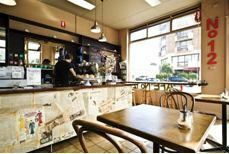 Described as "Melbourne Mediterranean", the Rowena Corner Store established in 1956 to serve the needs of the local community, is a unique mix of a milk bar, general store and café. Owner Con Coustas gladly supports NHBW and the Free Shake Day. He shared with me that a milkshake represents more than simple nutrition to him and his customers. His store has been making milkshakes for decades. Every day he watches people smile as they drink a creamy milkshake and remember their childhood. Kids come into the store dragging their parents in behind them as they order their favourite milkshake and they are making their own warm lifelong memories. During NHBW, adults and kids of all ages can head down to these participating cafés and pick up a delicious free shake and calcium boost. Further updates and information for participating cafés are available on the NHBW website. Resources are also available on the NHBW website including tips and information on ways to improve and maintain bone health, delicious calcium-rich recipes and calcium meal planners for all age groups, as well as great competitions and resources for schools. Lionel's Melbourne is looking even more deliciously healthy. Time to get me a free shake in Melbourne!